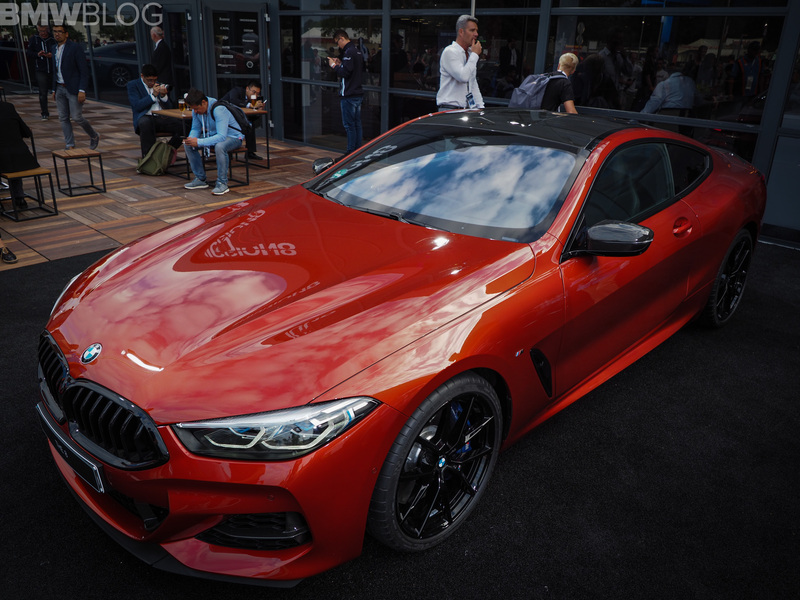 We’re bringing you live from Le Mans the first real life photos of the all-new BMW 8 Series Coupe. 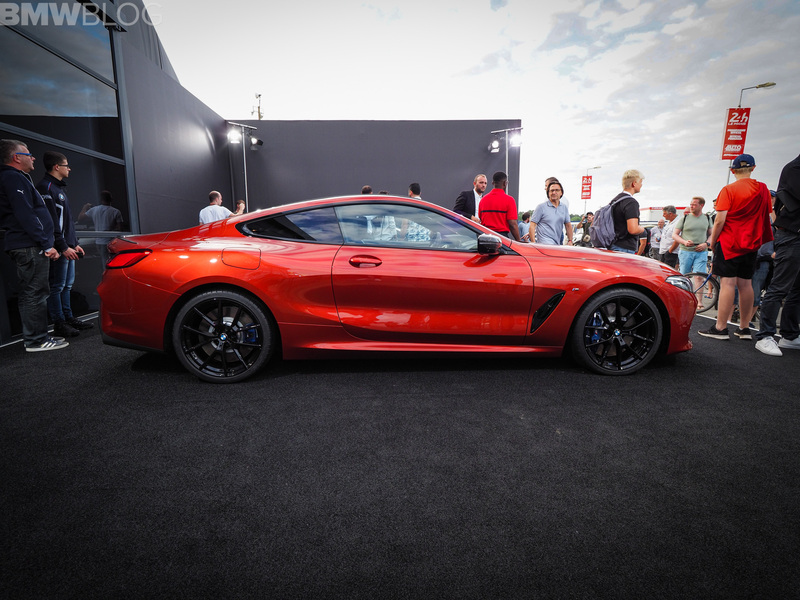 But not just any model, the M850i in Sunset Orange and equipped with the Carbon Package. The new optional package comprises of air intake bars, exterior mirror caps, a rear spoiler and a rear diffuser insert all made from CFRP. Dark contrasts to the orange paint match perfectly the black/grey components of the carbon package, especially with the carbon roof which can be order for the first time on a non-M car. The kidneys, the exterior mirror caps, the rear spoiler and the rear diffuser are also made of carbon to further define the sporty accents. Various elements and the wheels in high-gloss black complete the harmonious appearance. While photos might not do it justice, in person, the new BMW 8 Series is quite stunning and imposing. It’s up there with the brand’s best, such as the BMW 507, Z8 and, well, the original 8 Series. It’s long, low and mean, with a long hood, short rear deck, muscular rear haunches and a low profile. It’s a proper sporty grand tourer and we believe it will make happy the fans of the 6 Series. Inside, the 8 Series sports a new design language, more refined, premium, yet retaining the sporty look and feel of a BMW. The car’s wide center console rises up towards the instrument panel at the front, separating the driver and front passenger areas. Atop that waterfall stack lies the new 12.3-inch iDrive screen that features BMW’s latest iDrive 7.0 technology. The screen is touchscreen compatible but iDrive retains a physical rotary control dial on the center console. The control unit for the light functions is new and now consists of buttons positioned at the bottom of the instrument panel between the steering wheel and the driver’s door. Lots of change and you can read about them here. 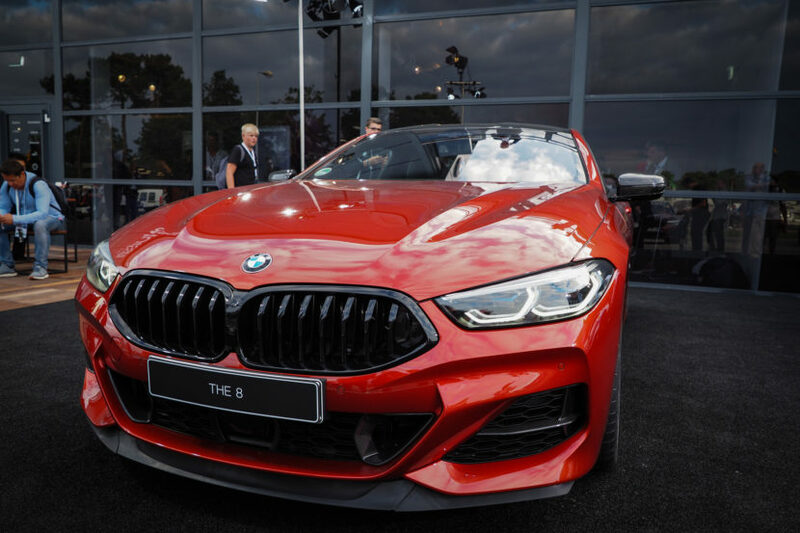 Initially available as the BMW M850i xDrive variant in the United States, the coupe makes its return to the American soil after 20 years. The new luxury sports coupe will be built at the BMW Dingolfing plant in Germany, home to BMW 7 Series sedan production.